Special Director's Copy with bonus items. 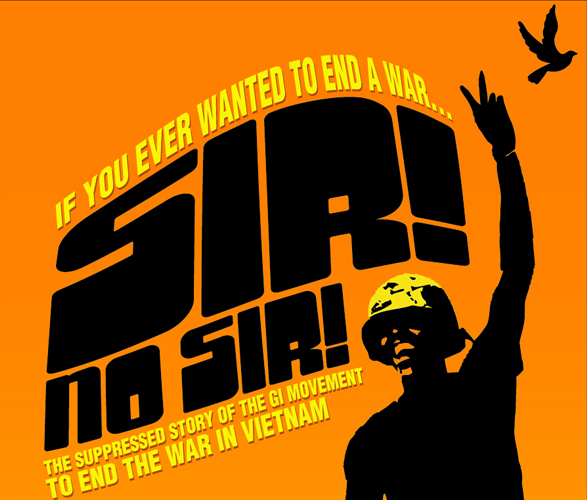 Filmmaker, activist, and AHOB member David Zeiger's feature documentary chronicles the largely forgotten antiwar activities of American GIs and other members of the military during the Vietnam era -- actions that put them in greater peril than civilian protesters. Powerful and surprising, the film weaves together the stories of veterans who participated in the opposition movement, an effort that, by the early 1970s, found widespread support from civilians and troops alike. Edited my AHOB members May Riegler and Lindsay Mofford, with original music by AHOB member Buddy Judge, and graphics and sound design by AHOB centerpiece Tucker Stilley. 100% of the proceeds go to help defray Tucker's medical expenses and help support his ongoing art forays.